Ownership of Oak Park&apos;s Unity Temple could be transferred from its long-time congregation to an organization that would be responsible for maintaining the church, according to a $10 million deal aimed at restoring the internationally-recognized Frank Lloyd Wright structure. According to an email sent to the congregation Tuesday evening by the Unitarian Universalist congregation&apos;s board of Trustees, Chicago&apos;s Alphawood Foundation would donate $10 million toward the restoration of the 105-year-old building, 875 Lake St. In addition, Alphawood would work to help restructure the 40-year-old Unity Temple Restoration Foundation or "create a new preservation organization to manage fundraising, restoration, and preservation of Unity Temple as well as public programming and tours," according to the email, a copy of which was obtained by this blog late Tuesday. But the plan is conditional. In order for the ownership transfer to be enacted, the church&apos;s current restoration campaign must raise 80% of the total funding needs, plus an endowment to maintain the building. The Alphawood funds would count toward the total. In the email, church leaders said the full restoration costs were still being analyzed but added the amount "is likely to be substantially more than the combined total of the proposed Alphawood gift and any contribution the Congregation makes." The congregation would continue using the building under the plan but the deal "may help free us from the demands and expense of managing and caring for our historic building thus allowing us to focus on the Congregation&apos;s mission and long-term space needs," the email said. In a statement issued Wednesday morning, Alphawood Executive Director Jim McDonough said his organization is "delighted that our gift will be an important first step toward the restoration and preservation of this international landmark." The founder and chairman of Alphawood Foundation is Chicago businessman Fred Eychaner, CEO of Newsweb Corporation and owner of AM radio station WCPT. Eychaner is also an architecture aficionado who lives in a sleek North Side home designed by Japanese architect Tadao Ando. 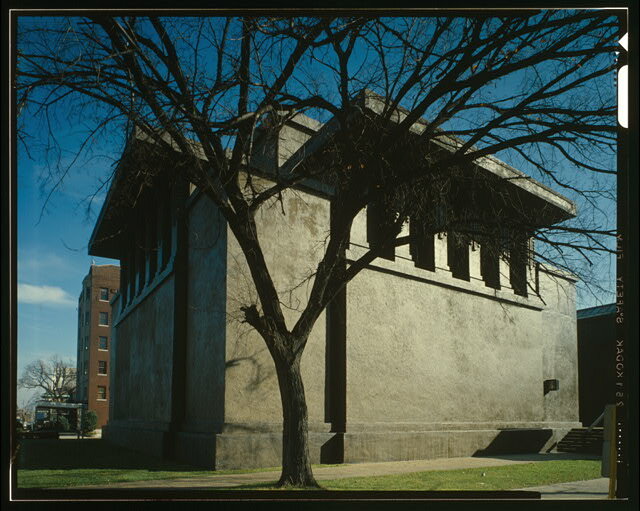 Built in 1908, the blocky reinforced concrete church is National Historic Landmark and is one of Wright&apos;s best-known buildings.The architect himself called it "my contribution to modern architecture." But Unity Temple&apos;s 16 separate flat roofs and a gutterless drainage system designed by Wright has made the building historically susceptible to water damage. The National Trust for Historic Preservation put the church on its 11 Most Endangered Historic Places list in 2008. The building is one of 25 structures Wright designed in Oak Park. The congregation was invited to discuss the plan at a church meeting Sunday.